Corn-on-the-Cob with Cilantro-Lime Butter is awesome! 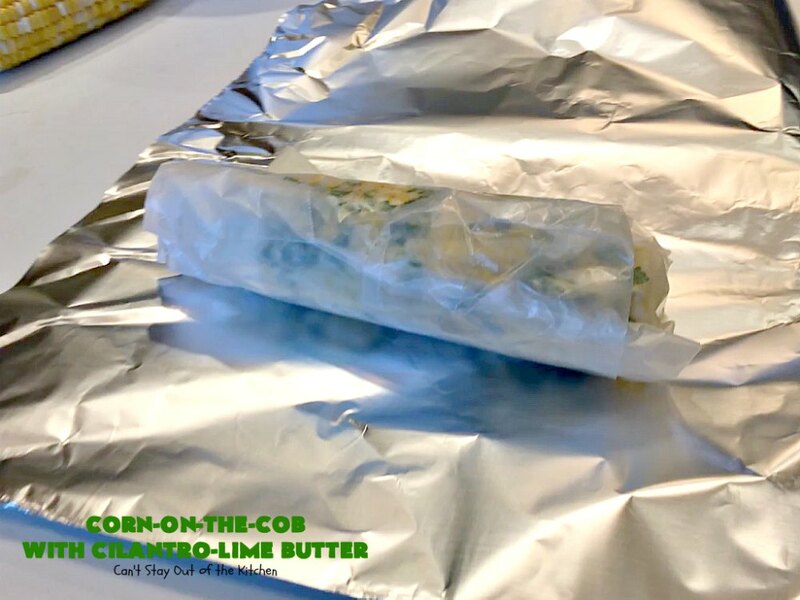 The nice and easy thing about this recipe is that after brushing the spread on the corn, you wrap it in foil and bake it. You don’t have to mess with grilling on a grill and getting it too black or anything like that. It’s a healthy, low calorie, gluten free and clean-eating way to enjoy corn! About three years ago, a friend and I were cooking for a team of workers on a mission trip in Arizona. We were trying to come up with a side dish for a meal we were serving and when we saw corn-on-the-cob on sale for 12 for a dollar, we decided to serve corn. 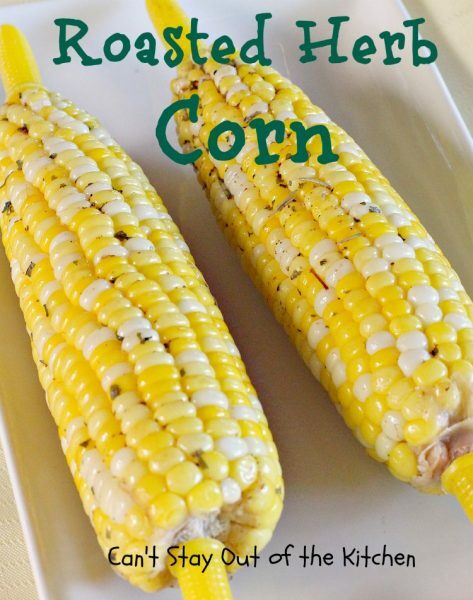 Cyndie told me about this quick and easy way to make the corn using this recipe. I’d forgotten about it for a couple of years but then found the recipe she gave me and decided to make it. 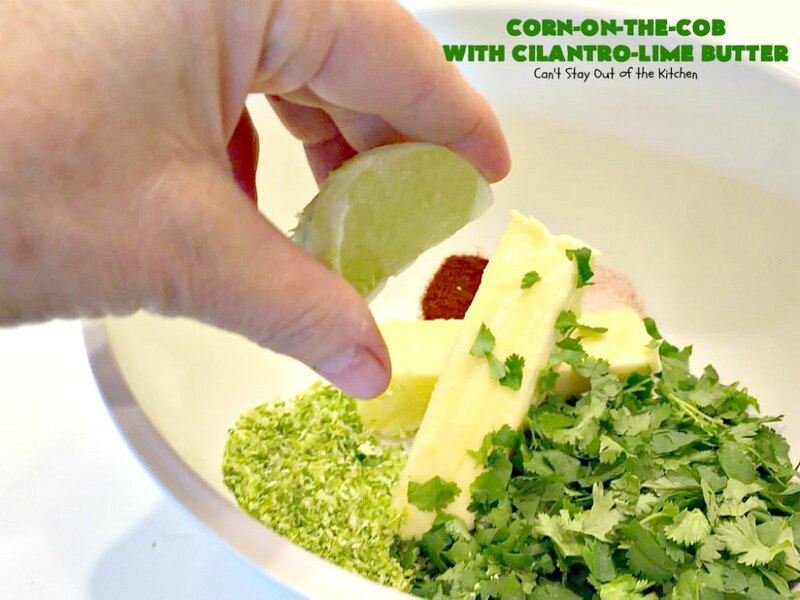 After softening (NOT melting) butter, you add fresh cilantro, cayenne pepper, lime zest, lime juice and salt. Then brush the Cilantro-Lime Butter on each ear of corn-on-the-cob and wrap in foil. I actually wrapped the corn in waxed paper first and then rewrapped in foil. 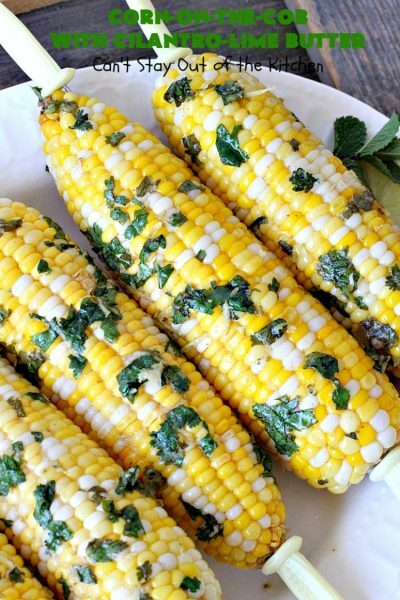 The corn is baked in the oven about 30 minutes and that’s it. I love the ease of this dish, plus I love eating corn-on-the-cob. When I served it last week for a Friday potluck for our care group, everyone else enjoyed it too. 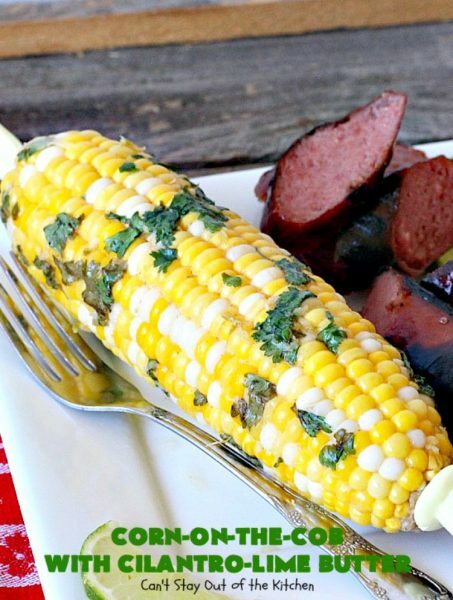 If you’re looking for a terrific corn-on-the-cob recipe for backyard barbecues, grilling out with friends or even holidays like July 4th or Labor Day, I highly recommend adding Corn-on-the-Cob with Cilantro-Lime Butter to your menu. Everyone will love it. 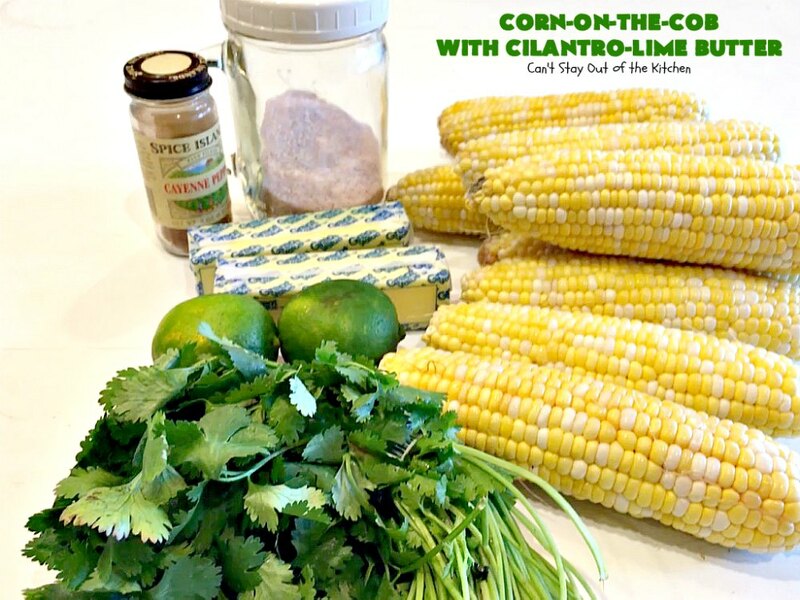 Besides all that, one batch of Cilantro-Lime Butter is enough for 12 ears of corn. 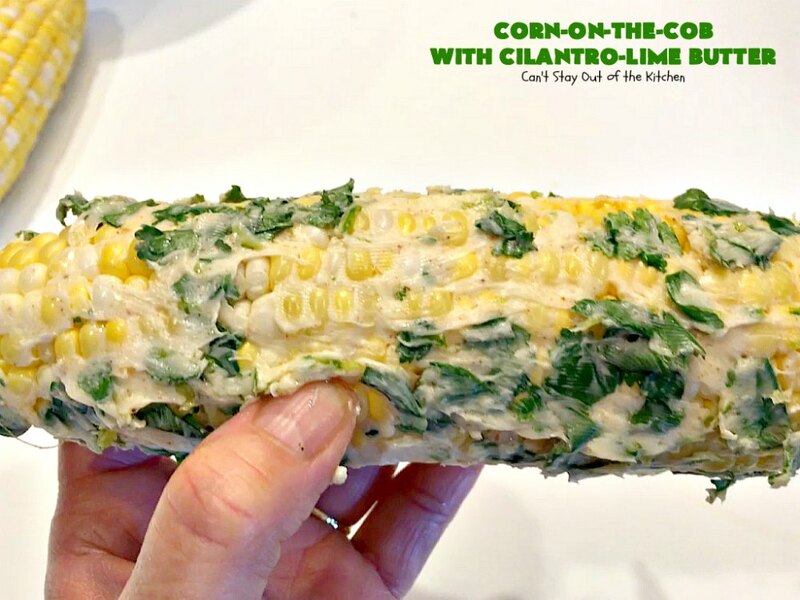 Give it a try and you’ll find yourself delighting in corn-on-the-cob like never before! 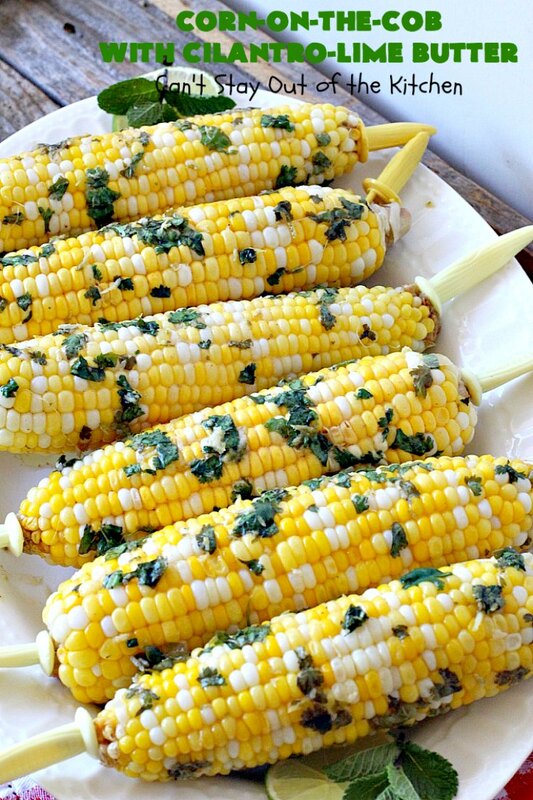 Corn-on-the-Cob with Cilantro-Lime Butter is a terrific way to serve corn. 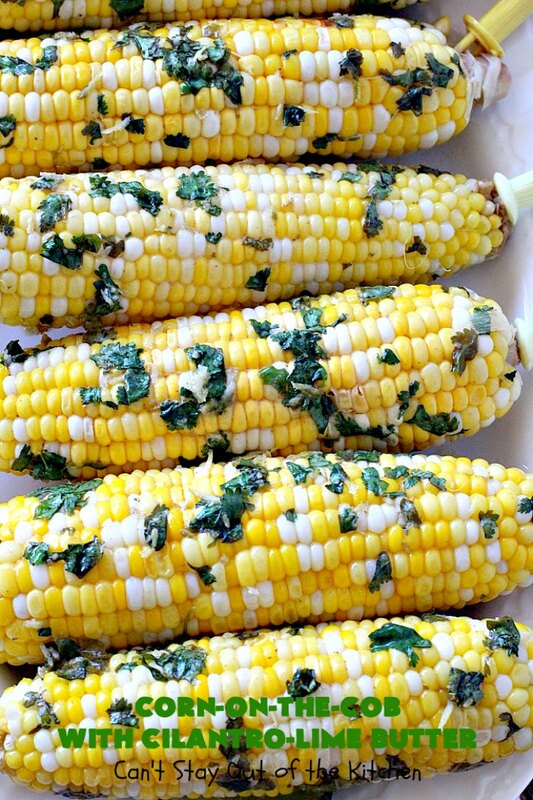 This corn is easy because it’s baked in the oven instead of grilled. You don’t have to be constantly checking to make sure the corn doesn’t burn up! 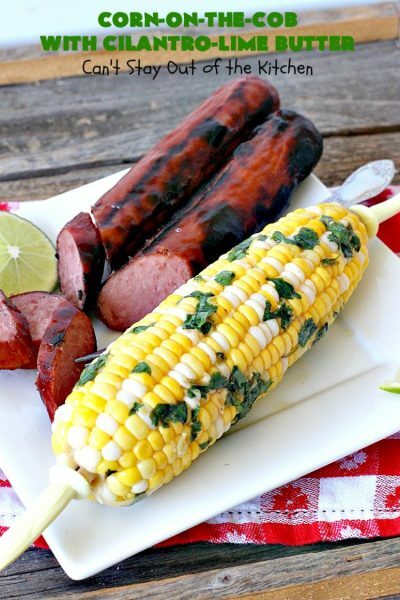 I served Corn-on-the-Cob with Cilantro-Lime Butter with Grilled Kielbasa. It was also great served with Grilled Chicken. I used these ingredients. Tearing up the cilantro is what takes the most time for this recipe. Soften butter. (I had it sitting out on my counter at room temperature for a couple of hours). Add sea salt, cayenne pepper, torn cilantro, grated lime zest and lime juice. Stir to combine. Spread Cilantro-Lime Butter on all sides of each ear of corn. 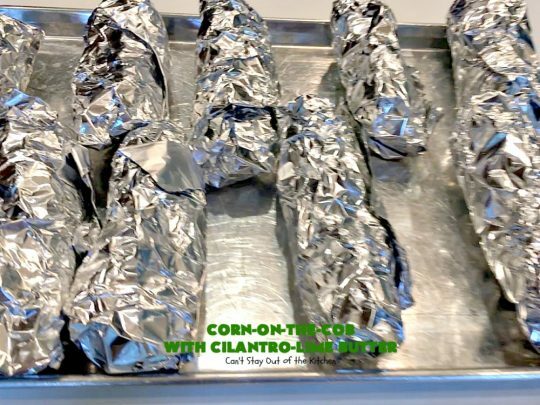 Wrap directly in aluminum foil or you can wrap in waxed paper first and then in aluminum foil like I did. Bake in a 350 oven for about 30 minutes. 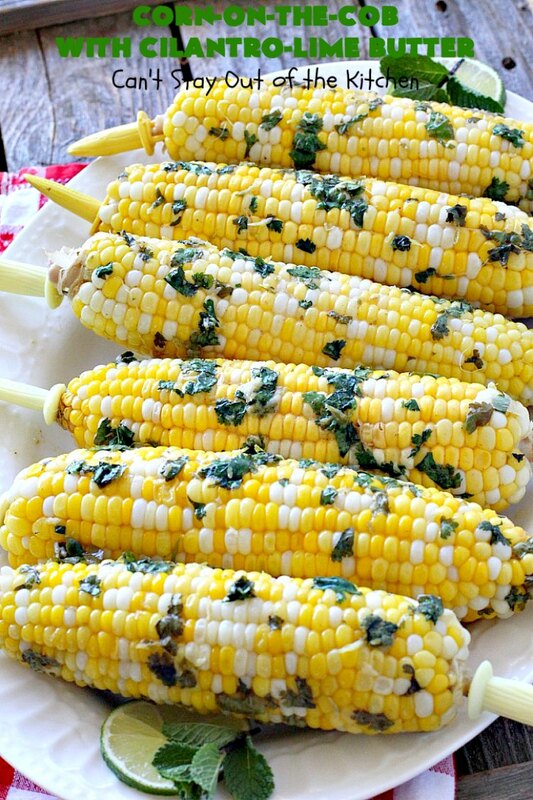 Unwrap corn and serve. Insert corn skewers in each end if desired. 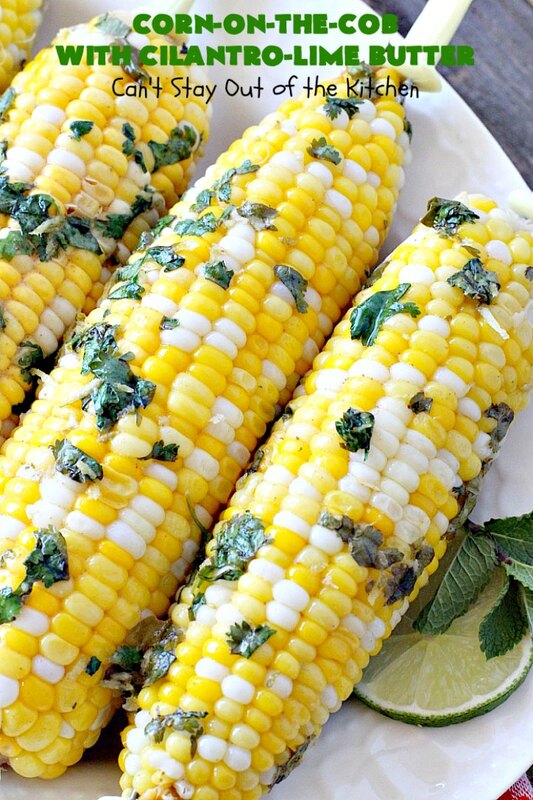 Corn-on-the-Cob with Cilantro-Lime Butter is a great side dish for any summer meal. Serve corn in individual corn cob plates, if desired. The cilantro and the lime work incredibly well in this recipe. It uses the juice and zest of one whole lime. 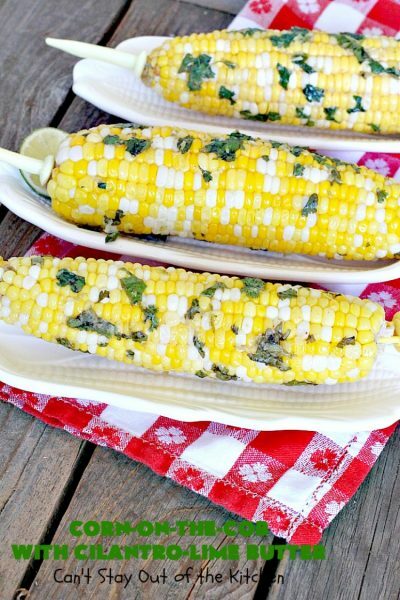 If you enjoy corn-on-the-cob, this is a marvelous way to serve it for potlucks, backyard barbecues, grilling out with friends and summer holidays when corn is in season. 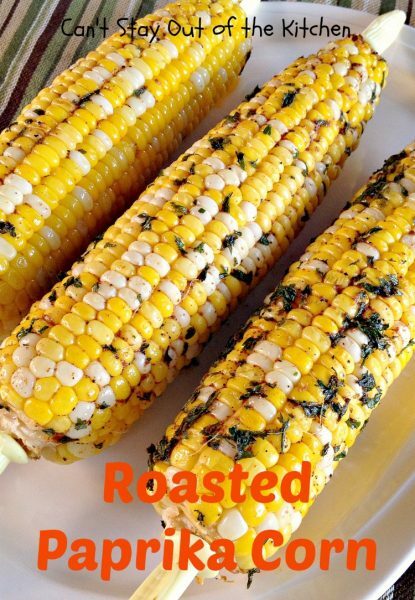 This fabulous side dish is perfect for summer holidays, backyard barbecues and grilling out with friends. It's baked in the oven rather than grilled. Gluten free. Put softened butter in a mixing bowl. Add cilantro, lime zest, lime juice, salt and cayenne pepper. Spread Cilantro-Lime Butter on each ear of corn. Wrap in either aluminum foil or waxed paper (or both). Bake corn in a 350° oven about 20-30 minutes or until cooked through. Yield: ¾ cup Cilantro-Lime Butter; 8-12 servings. 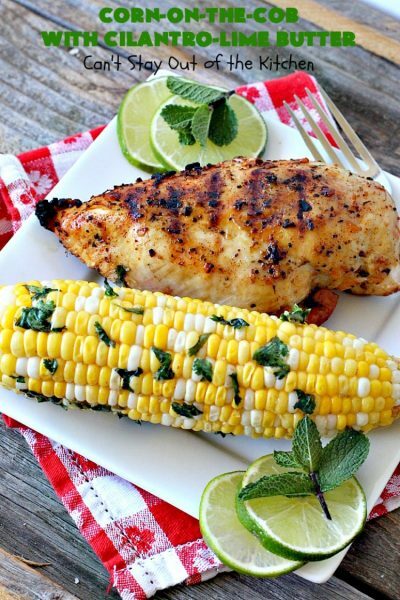 This is also a wonderful recipe to serve with anything barbecued! 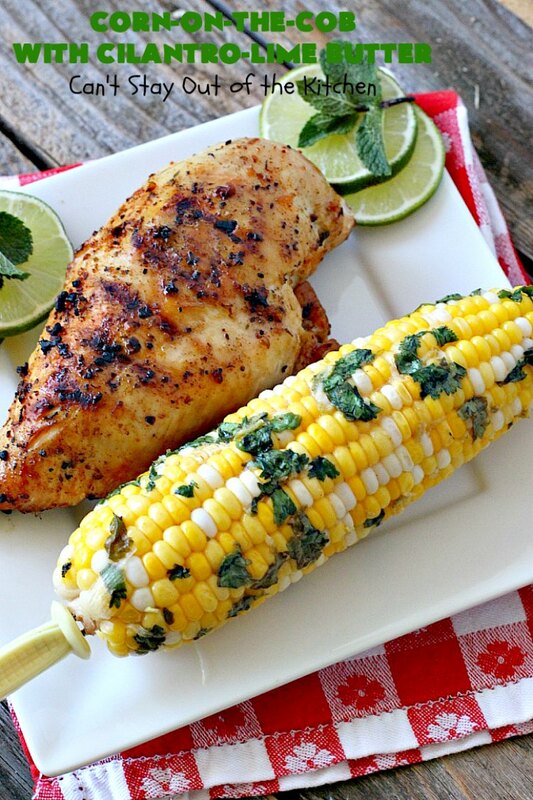 We love corn-on-the-cob and this Tex-Mex version is fantastic.